These Jebo Portable submersible Pumps, driven by single phase capacitor motors, are extremely energy efficient, quiet, and reliable pumps. The rotors are sealed by anti-chemical material and all the water contacts are encapsulated by resin, IP*8 submersible. Bearings and shafts are made of wear-resistant industrial ceramic and built-in over thermal protector is integrated, which together built a long life time pump. These pumps are designed for filtration systems, the water circulation and aeration of fountains, streams or water features. 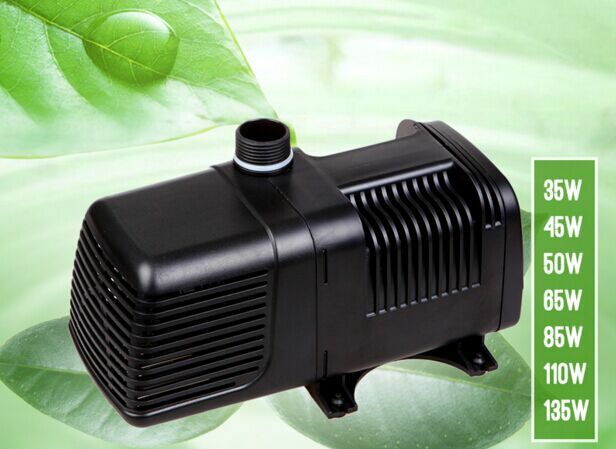 These pumps are also rebadged into Pondmax AquaPro, could be widely used in large aquariums, fish ponds, backyard fountains, garden pools, aquaculture, or other water features. They are also good for inline use. Ideal for use in garden pond, large aquarium and sea water. Non submersible use at the side of the pond.